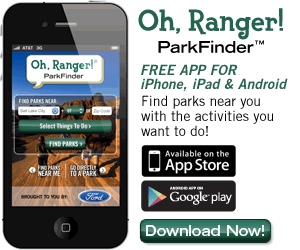 Bryce Canyon National Park | Oh, Ranger! What is Bryce Canyon? A cave without a ceiling? A forest of stone? Even 'canyon' is misleading since Bryce is carved by freeze-thaw cycles, not a river. Yet, 'world's largest pothole' is neither adequate nor flattering. At Bryce Canyon National Park, erosion has shaped colorful Claron limestones, sandstones, and mudstones into thousands of spires, fins, pinnacles, and mazes. These colorful and whimsical formations stand in horseshoe-shaped amphitheaters along the eastern edge of the Paunsaugunt Plateau in Southern Utah. Start any tour of Bryce Canyon with a stop at the visitor center. Then head to the very southern end of the park, where at Rainbow Point the entirety of the park stretches out before you back to the north. Suggested stops also include Sunrise, Sunset, Inspiration and Bryce viewpoints. Bryce Canyon National Park has two campgrounds, North and Sunset, located in close proximity to the visitor center, Bryce Canyon Lodge and the geologic wonder that is the Bryce Amphitheater. Both have restrooms with flush toilets, as well as drinking water. During the summer months coin-operated laundry and shower facilities are available at the general store nearby. There are no hook-ups in the campgrounds, but a fee-for-use dump station is available for RV users at the south end of North Campground. Bryce Canyon offers several day-hiking trails. Because many of these are interconnected, the park's most popular hikes are combination of two or more of these basic trails. In spring, summer and fall, Canyon Trail Rides wranglers lead 2-hour and 4-hour horse and mule rides into Bryce Amphitheater along a dedicated horse trail and the Peek-a-boo Loop Trail. For information, visit www.canyonrides.com or call (435) 679-8665. The use of privately owned stock on the trails of Bryce Canyon is also permitted. However, regulations and guidelines have been developed to ensure safety and protection for other visitors and park resources. Contact the park or ask at a visitor center for more information. Picnic areas area available in the park. The canyons and plateau of Bryce Canyon National Park are home to many animals. Park boundaries mean little to the migratory hummingbirds, nesting Peregrine Falcon, Rocky Mountain Elk and Pronghorn which daily cross through the forested plateau and barren amphitheater. The park is also home to golden-mantled ground squirrels, mountain lions, and Utah prairie dogs. Winter hiking, snowshoeing, cross-country skiing, winter backpacking, and sledding are exciting winter activities available at Bryce Canyon. Skiing, snowboarding, sledding, etc. off of the Bryce Canyon Rim into the canyon is illegal due to the highly dangerous nature of such activities and the damage to the resource they can cause. The Bryce Canyon Natural History Association is a non-profit organization that assists and promotes the education, research and interpretive programs of Bryce Canyon National Park and Dixie National Forest. Additional information about the parks of the Colorado Plateau can be obtained through the Natural History Association. 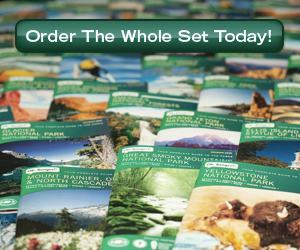 The visitor center bookstore carries a variety of maps, books, videos, posters and postcards. Many of these items are also available online. Forever Resorts, LLC operates the Bryce Canyon Lodge, with 114 rooms including lodge suites, motel rooms and cabins. The season begins April 1 and runs through October 31. The dining room at Bryce Canyon Lodge is open for breakfast, lunch and dinner. A gift shop is available at the lodge. Additional lodging is available in nearby towns. For more information about the communities near Bryce Canyon, contact the Garfield County Chamber of Commerce at (435) 676-1102 or visit brycecanyoncountry.com. From the north or south on US Hwy 89: Turn east on Utah Hwy 12 (seven miles south of Panguitch, Utah) and travel to the junction of Utah 12 and 63. Turn south (right) onto Utah 63 and travel three miles to reach the park entrance. From the east: Travel west on Utah 12 to the intersection with Utah 63. Turn south (left) to reach the park entrance. From late May through early October, the free Bryce Canyon Shuttle takes visitors to the park's most popular viewpoints, trails and facilities. Using the shuttle is voluntary, but encouraged. The closest major airports are in Las Vegas (LAS), Nevada and Salt Lake City (SLC), Utah, each approximately 270 miles from the park. There are smaller airports in Cedar City (CDC), Utah (80 miles) and St. George (SGU), Utah (125 miles). There is no public transportation into the park. Upon arriving at Bryce Canyon, Utah, you can use the Bryce Canyon Shuttle to enter and visit the park. Submitted by Linda Mortensen on April 5, 2010 - 6:22pm. We want to visit. Can we bring our 12# dog into the park? Submitted by YellowStoneMan on March 12, 2011 - 9:25am. Linda, Here is a guide to Bryce Canyon and the resources you will need if you want to bring your dog along. (http://www.dogfriendly.com/server/travel/uscities/guides/us/cities/dog training/usonlinecityUTBryce_Canyon.shtml) I have been to both Bryce and The Grand Canyon with my golden retriever and have not one time felt like I was being held back because of wanting to have my companion. Good luck! Submitted by Ask_Kelly on April 14, 2010 - 10:09am. "Pets are wonderful animals that give comfort and companionship. However, a national park is not the best place for them. They may chase, scare or transmit diseases to wild animals. Many pets leave behind a 'predator' scent that disturbs wild animals that can linger in the area for long periods of time and can disrupt or alter the behavior of the native animals this park has been set aside to protect. Pet owners not adhering to regulations may be cited (minimum fine is $75). 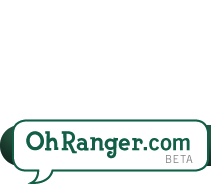 36 CFR 2.15 provides more details concerning pets within National Park Service areas. The following information is provided as a service and does not imply that we support or recommend these facilities.Two Kennels are located nearby, one in Panguitch approximately 30 miles west and one in the Town of Tropic 12 miles east of Bryce Canyon Entrance. Contact information for PawzDogz is 435-691-3696 and Canyon Park Animal Retreat is 435-679-8548. Other Kennel Services in the area are located in Richfield UT (100 miles north), Cedar City UT (85 miles west) and Kanab UT (74 miles south)."